Community engagement is really important for any website, not just for those that run on WordPress. We need to increase the number of people that comment and keep them interested in the content that we offer. The good news is that WordPress has many different plugins that can be used for this very purpose. The bad news is that people do not pay close attention to this factor. It is important to think about improving a website so that visitors can be more engaged and that will eventually make them comment more, even share your content more. Let’s take a look at some plugins that can help your entire community. Not all WordPress themes include sliders or easy ways in which you can integrate featured content galleries. The adequately entitled plugin can help those that do not have suitable design or programming knowledge to add featured posts anywhere on the website. Highlighted content is easily integrated. There is a constant increase in the number of people that use mobile devices to browse the internet. This is a trend that will not change but most websites do not actually have a mobile version. This plugin helps out by basically creating that website mobile version that you need to make people stay when they use their smartphones or tablets. Various customization options are included. The Disqus Comment System is something that helps you get more comments on your website. One thing that visitors do not like is that they are sometimes asked for passwords and IDs in order to leave a simple blog comment. We could let the regular comment system open, the one that comes with WordPress, but this opens the door for SPAM. Disqus helps by letting the visitor use Twitter, Facebook, Disqus or OpenID in order to leave a comment. A community of people that comment is not the only one that you may want to establish. If you want to have more people post guest posts on your site, you want to help them make everything as easy as possible. One way to do that is to use this plugin. The interested guest poster will be offered the possibility to view a preview of the post before sending it in for consideration. It eases your work and entices others to offer better content. Facebook is definitely huge at the moment and we cannot dismiss it as a source of engagement. This plugin is preferred by many as a really fast way to avoid the regular password security for visitors. The reader will be able to login to the website with the use of BuddyPress, local WordPress or Facebook. This is a really popular plugin that helps the webmaster include posts that are related at every article’s bottom. What is special is the fact that relevancy is quite high and there are many different customization options that are available at the moment. You need to have some sort of related posts plugin installed to increase the time that visitors spend on your website and this is definitely one that you have to consider. This small plugin offers you the possibility of gaining fast feedback when referring to the number of people that visit, together with various other features that aid you in figuring out exactly what you are faced with. You can integrate Analytics and basically monitor online user activities. We need to know how our visitors react in order to increase community engagement and Clicky makes it easier to do just that. New plugins are released every week and you never know when a really good one appears. It is really important that you take the necessary time to see what your visitors do when on your site and you need to give them a reason to comment. With this in mind, make sure that you also learn all that you can about writing the posts so that you can increase interaction. 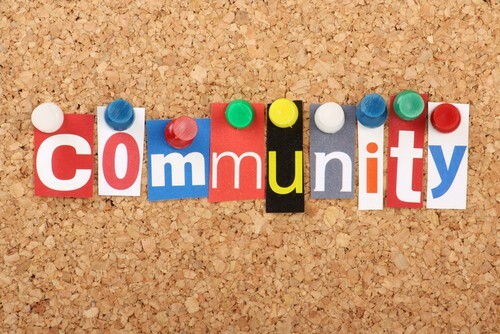 Do you have a WordPress for Joomla website and you managed to get your community more involved? What plugins did you use? Let us know in the comment section so that we can share our experiences and learn together. We are sure that you would be able to help other webmasters and even make new friends. By Boris Dzhingarov who is founder of Blog For Web. This entry was posted in WordPress and tagged Joomla, plugins, wordpress on March 18, 2014 by The Core Team.